Today we reached the somewhat larger town of Svobodny. 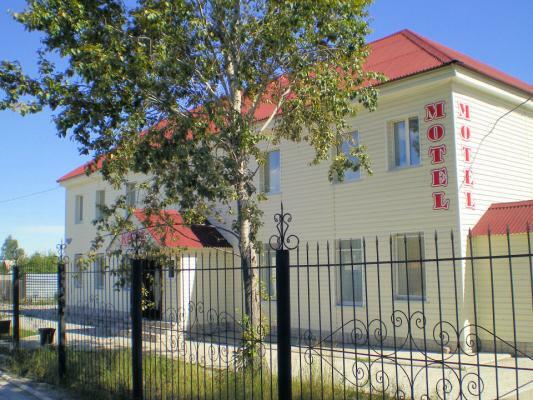 We’ve had a few rest/rain/sick days in the past, so plan is to stay here one night before continuing on to Khabarovsk. Hence, I’ll write this update from here but further web text and photo uploads will occur later down the road. We’re now about 2/3rd of the way between Chita and Khabarovsk. The past 850km have been over some rough roads almost all gravel roads. These roads are slow riding, about half as fast as we would otherwise ride on asphalt. Fortunately, we got a first stretch of asphalt yesterday and expect some more asphalt sections between here and Khabarovsk. Mickey got sick from something one day out of Mogocha (and is all well better now for days), but we also spent a day and a half near small village of Amazar, camped out in a nice piece of woods not too far from town. On the day following, we took liberty of getting ride with a passing 18-wheeler semi-trailer from km764 to km1027 of the road. We skipped some very rough sections of road including some with massive construction projects. That certainly helped our spirits and progress to jump over some of the worst gravel pieces on this road. We still had several hundred to go after that, so don’t feel too bad at having missed the ugly stuff. Riding in the 18-wheeler was interesting. 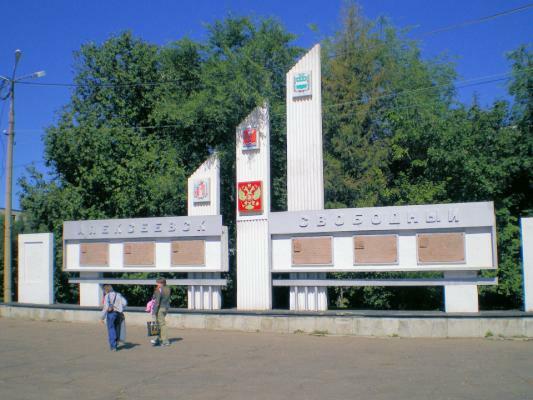 Valerie and Victor made their living by driving for 7 days from Krasnoyarsk to Vladivostok. Here they picked up a load of 8 used Japanese automobiles and then drove back to Krasnoyarsk in another week. We had a good time with them in the cab and there was plenty of room on the auto carrier to lash the bicycles. We can tell when the roads coming up are particularly rough since we’ll see people stop and take our pictures more often. In rough stretches, at least 90% of the traffic is hauling used Japanese right-hand drive automobiles to the west. They are typically all taped up to protect finish and windshields (though as an optimistic sign, we’re seeing less tape on the cars coming up). They’ll drive where they want on the road. On the worst pieces they drive slowly, but if it is slightly better we have some testosterone laden drivers thinking they are Mario Andretti driving their Japanese town car on the roads. A few days ago we had two days of rain. We skipped the first day and had a nice reading day in the tent. However, at this point our extra food was gone and hence we were cycling on the second day. Some sections of road were good but others were texture of peanut butter. It was all a bit slow and dirty. Fortunately, we’ve got sunny skies again and are now seeing slight signs of fall with cold mornings and even some leaves turning colors. This morning was first morning to wear mittens. We cycled into Svobody, only 31km and found a nice cafe. We were pleasantly surprised to have hotel on second floor as well. Hence, a good day to get showers and wash clothes. 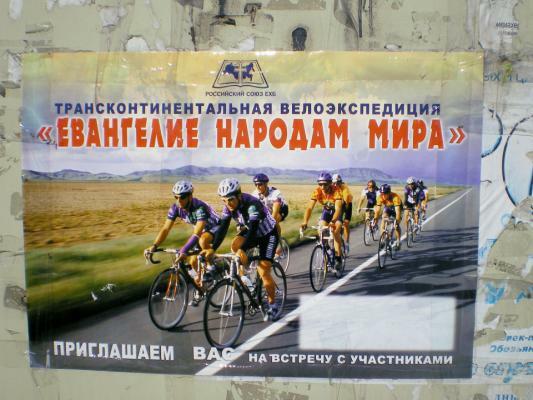 With our other rest days plan is to take off again tomorrow and get some more cycling towards Khabarovsk. It is nice to slowly be getting closer to Vladivostok on our ride.